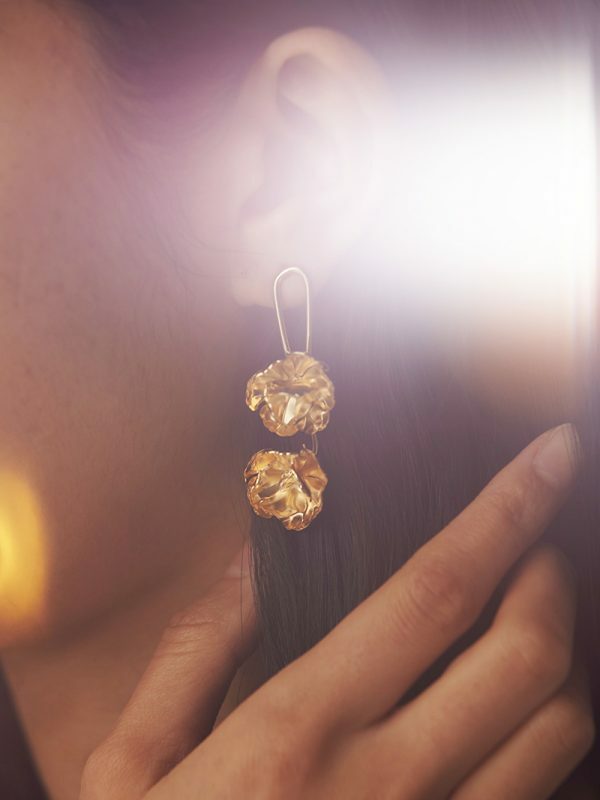 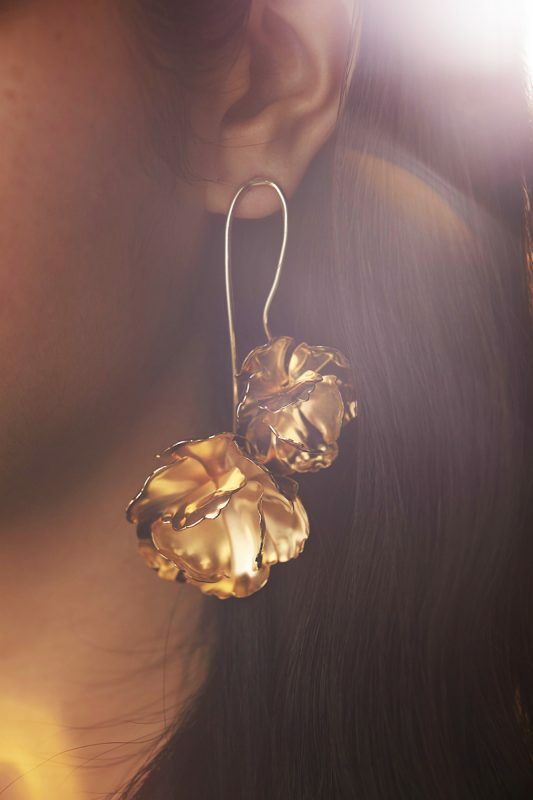 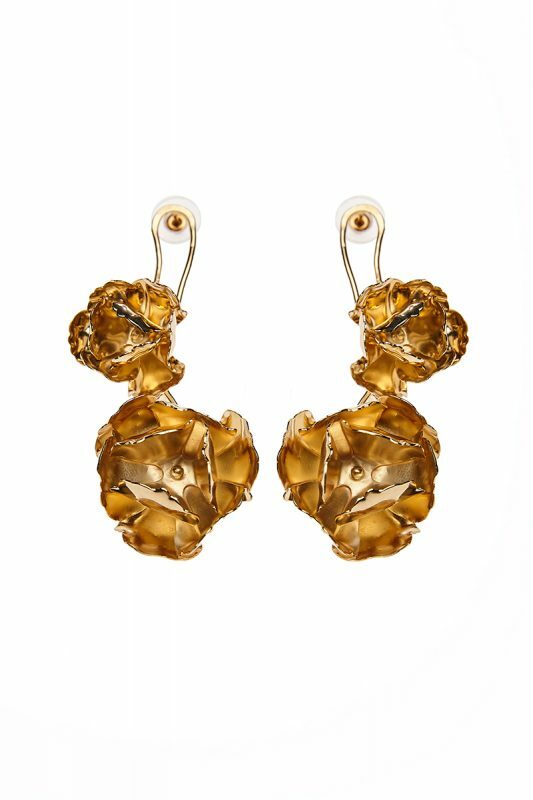 Inspired by the same Icelandic poppies that underpin our Spring Summer ’19 collection, the Medium Gold Earrings have been developed in collaboration with jewellery designer Keren Wolf. 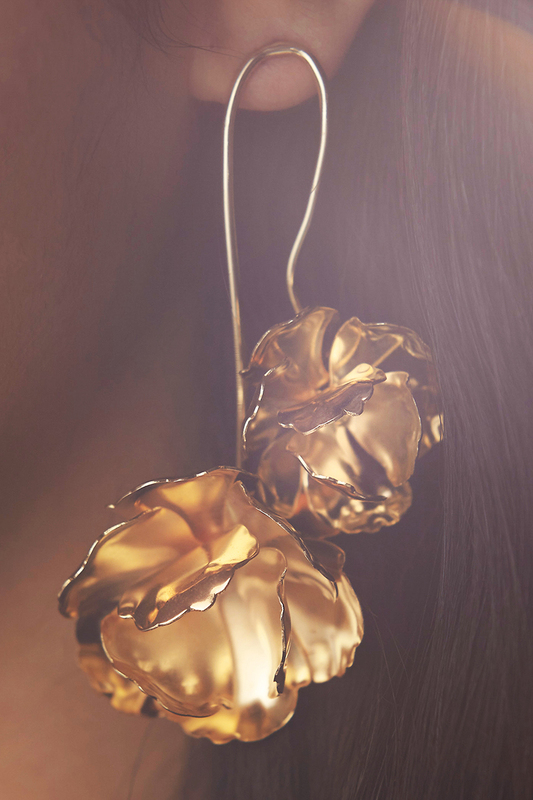 Hand manipulated and intricate, these 14k gold-plated earrings transform transient flowers into wonderfully timeless pieces. 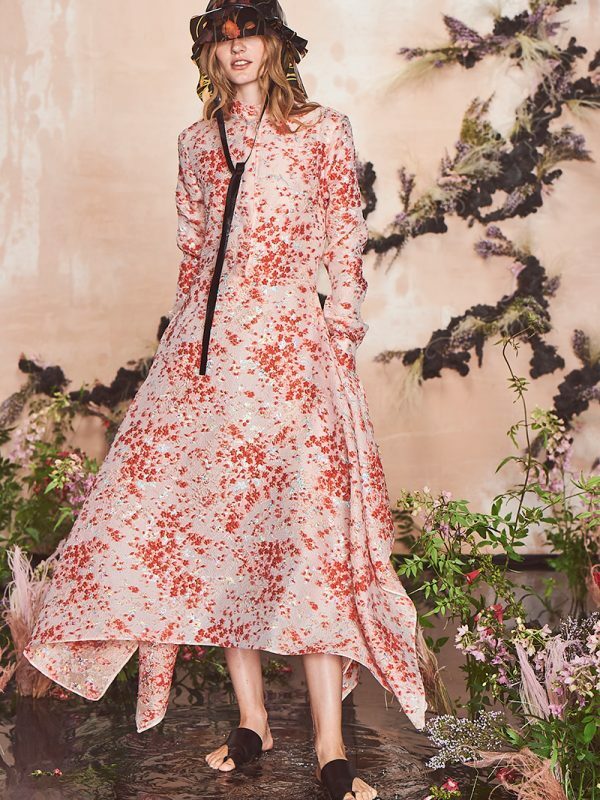 Made in Israel by Keren Wolf. 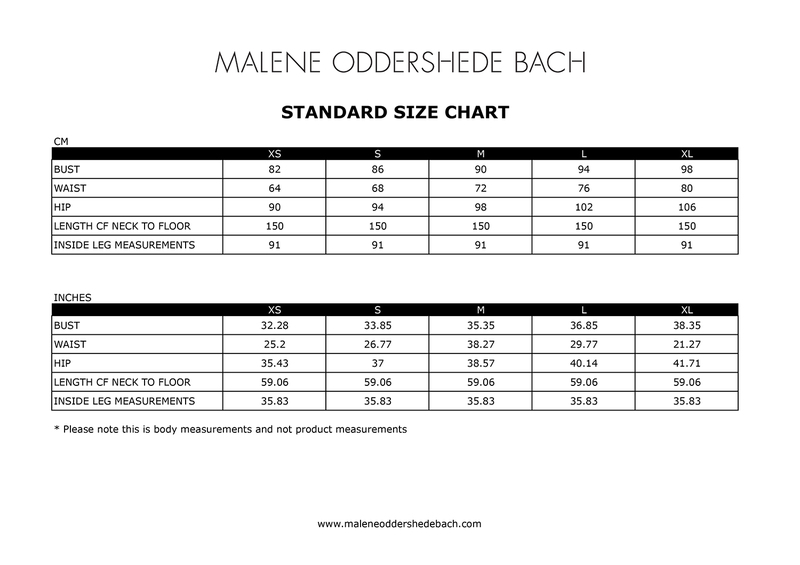 Please note: This item is made to order, please allow 3-4 weeks for delivery from the order date.